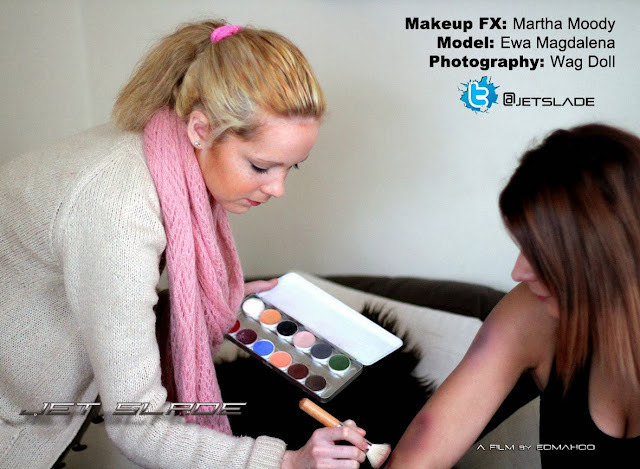 Martha is a theatrical and media makeup graduate from West Yorkshire, with an additional qualification in hair and makeup for fashion and photographic. 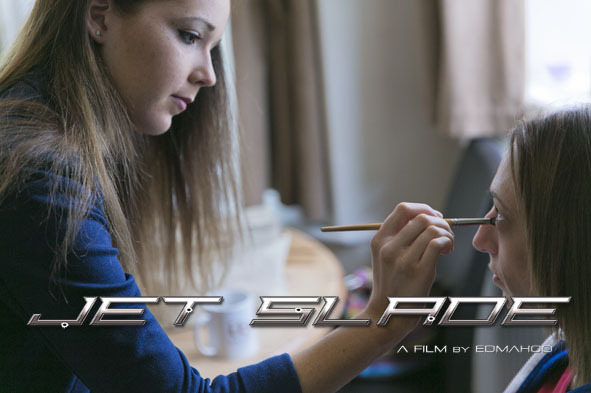 Her modules of study have included: injury simulation, prosthetics, bald caps, and creative hair styling and wigs. 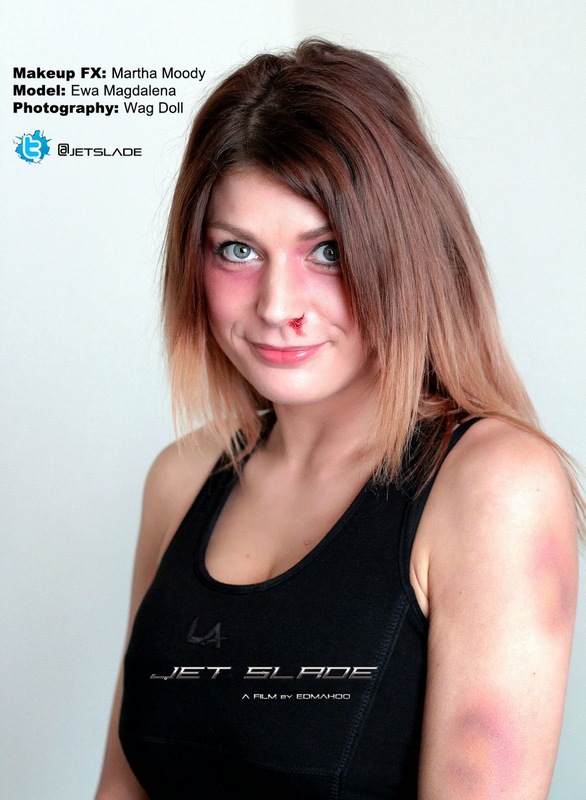 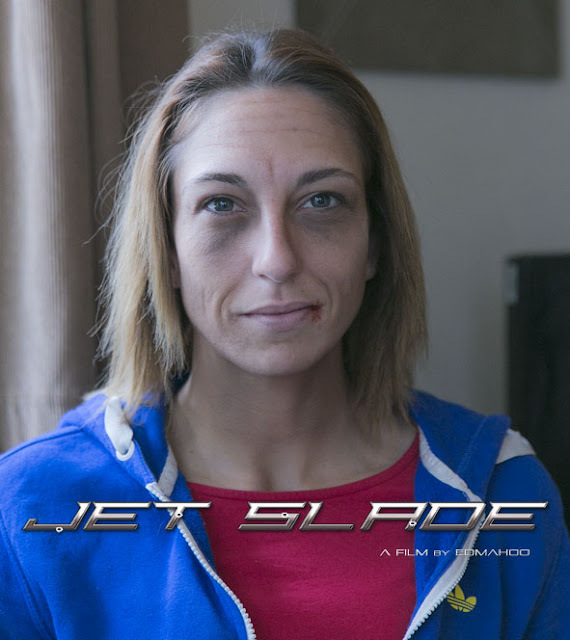 This is her first working role within the industry and she is thrilled to be a part of Jet Slade. 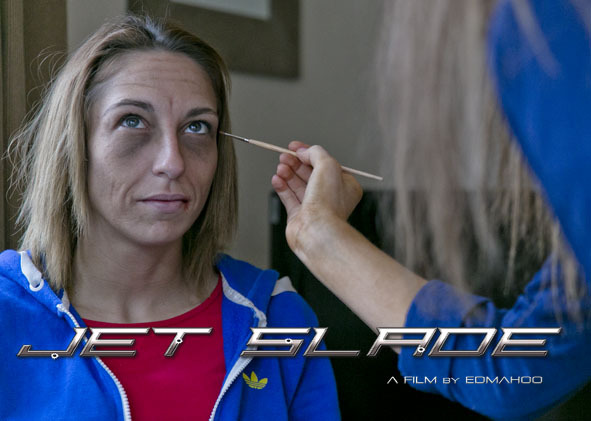 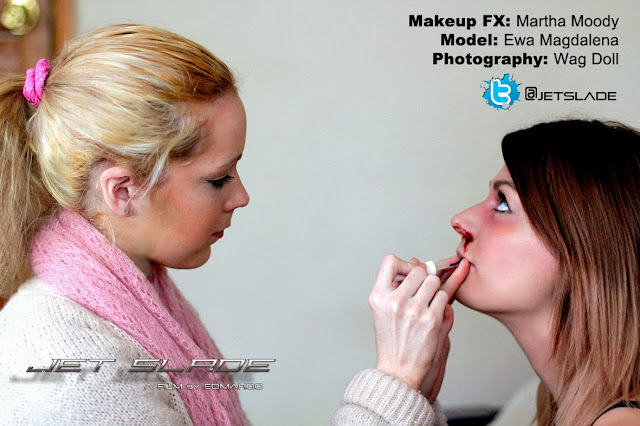 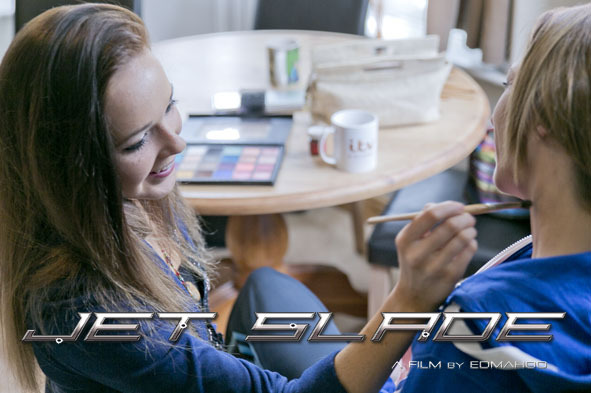 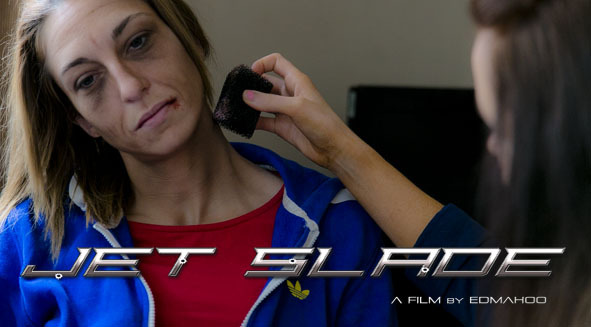 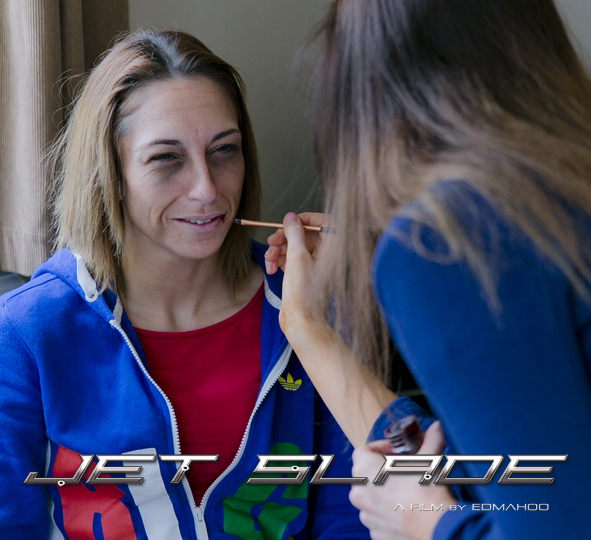 Usually the one behind the camera, applying makeup and bruises to the cast on set of Jet Slade, Martha is accustomed to working on photo shoots... So it was a bit of a surprise that this time, it was her in front of the camera! 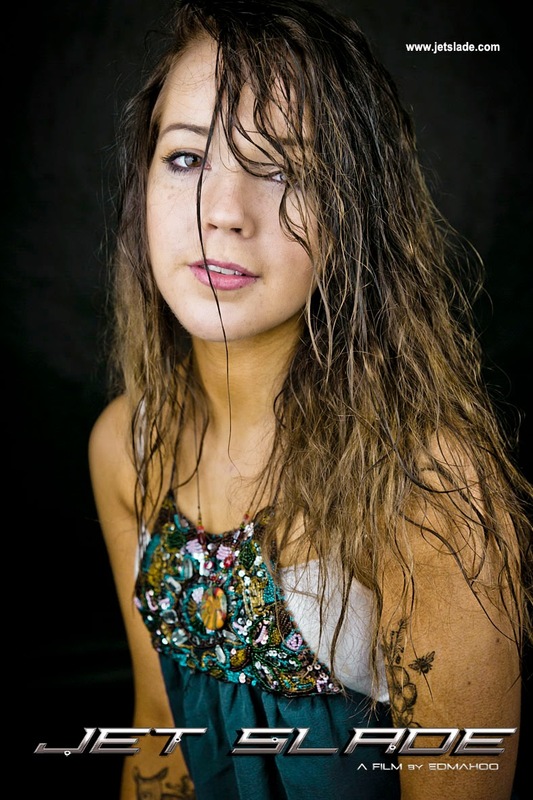 By the photo below, you can see how much fun she had!